Starbucks is about to change how you drink coffee, again. With half of the coffee chain’s customers now opting for cold beverages, Starbucks’ latest innovation looks to solve a longtime problem. Customers can order an iced cappuccino or latte, but the drink was missing one key element: the foam. After several years of development, Starbucks rolls out Cold Foam nationally on Tuesday. Cold Foam adds a layer of creaminess and natural sweetness to cold beverages, as well as a distinct texture. 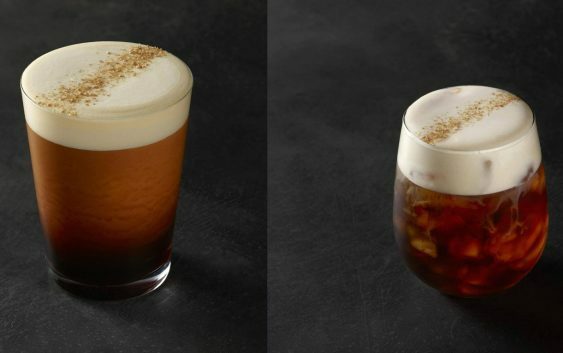 It will be featured on three of Starbucks’ cafe drinks — Cascara Cold Brew, Blonde Iced Cappuccino and Cascara Nitro Cold Brew, but it can be added to any beverage for 50 cents. Starbucks is hoping the innovation will win over customers and boost sales. The company has struggled over several quarters with weak sales in the U.S. The slump, which includes slowing sales of its once popular line of Frappucinos, has left some wondering if the company can stand up to ongoing craft coffee competition and dissipating customer loyalty. Last year, Starbucks had a brief hit with the limited time Unicorn Frappucinos, which created buzz on social media and drove a rush of customers through the door. But that success was fleeting and other limited time drinks didn’t have the Unicorn’s magic. This new offering will be a permanent fixture on Starbucks menu, just like its recent launch of blonde roast espresso, a milder espresso drink. Plastic lids that the company first used when it debuted Nitro Cold Brew in 2016, which are made so that the beverage can be sipped and not slurped with a straw, will be used for all beverages that are served with the Cold Foam. This way, customers can drink the espresso beverage through the foam, the same way they would with the hot version. The Cold Foam also does not dissipate very quickly, so it can be tasted in every sip from start to finish. The new foam is made by aerating skim milk, rather than whole milk, until it is smooth and frothy. It comes in two forms, regular, which is just milk, and cascara, milk infused with naturally sweet coffee cherries. Right now, it is only available in non-fat milk, as it created the best foam texture, the company told CNBC. 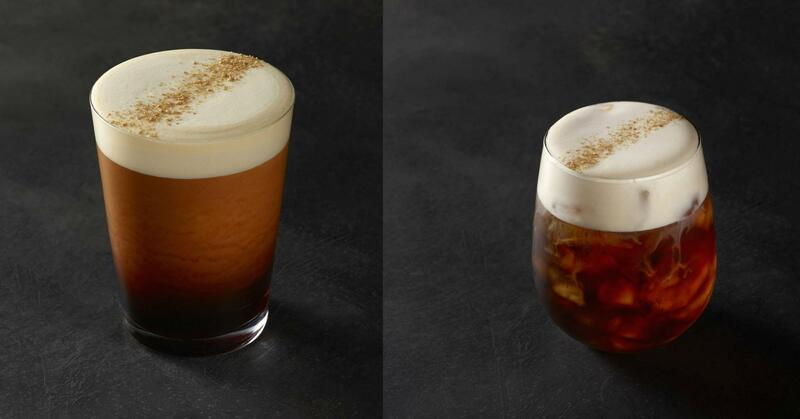 Cold Foam has been in development since Starbucks first started working with cold brew in 2014. It took the company several years, testing different milk and aeration techniques before it was ready for a mass market launch. In hot beverages, whole milk is steamed to create the froth topping because it has a high fat content, Chad Moore, manager of coffee and tea education at Starbucks, told CNBC. For the Cold Foam, the opposite is true. Starbucks used skim milk because it had a lower fat content and would remain stiff and foamy in the cup. Cold Foam could revitalize Starbucks’ beverage sales, particularly as cold drinks become a greater portion of the company’s business, having grown from 37 percent five years ago to 50 percent in 2017.